Facilitating mobility from non-regular to regular employment is key to sustainable economic growth. This truth was recognized in the revitalization plan announced by the Prime Minister’s Office in 2014, which included specific measures to improve the working conditions of nonregular workers and help them shift into regular employment. The costs of not doing so are enormous to this “precariat” (precarious proletariat) in terms of thwarted careers, social status, poverty — and isolation, as they have a much lower marriage rate. This in turn is bad news for society because the declining marriage rate is an important factor in the declining fertility rate, meaning fewer consumers and taxpayers in the future, imperiling economic prospects and undermining the solvency of pension and health insurance schemes. Moreover, the spread of poorly paid nonregular employment to 38 percent of the workforce, from 6 million in 1984 to over 20 million in 2016, is depressing consumption and thus fanning deflation. Firms also invest less in training such workers, lowering productivity. In 2013 the government passed legislation that targeted the employment instability that plagues nonregular workers on serial fixed-term contracts (yūki koyō) by introducing a system that forces firms to change such employees’ work status to full-time after five years of continuous employment. Typically, nonregular workers sign a succession of one-year fixed-term contracts that carry no legal implications for ongoing employment. Under the new law, after the fifth such contract the firm must either terminate the worker’s employment or make them full-time. One consequence is that thousands of adjunct lecturers and staff at universities across Japan are losing their jobs. However, there is a “restarting the clock” option whereby the firm can interrupt the employment for six months and then rehire the worker on another succession of one-year contracts for five years, and so on. This system is harmful to such employees because they have to forgo earnings for half a year and the firm is not obliged to rehire them. This reset option appears to violate the spirit of the legislation, but it is legal and enables the employer to avoid making an open-ended commitment to nonregular employees. In a recent survey, only 14 percent of workers said they understood the content of the 2013 five-year law while 59 percent did not know about it and 27 percent said they didn’t understand the content well. The implications of how the new statute is implemented are massive as the number of fixed-term contract workers in 2013 was 14.1 million, or more than 25 percent of Japan’s total workforce. About 60 percent of firms have indicated that they plan to shift such contract workers into permanent status as a result of the 2013 law. However, many such workers will be shifted into the nominally regular employment track called mukirōdōkeiyaku (permanent contract workers), meaning their status will change without a boost in their wages. This is what happened in 2015 to 8,000 nonregular employees of the Bank of Tokyo-Mitsubishi UFJ, who were given permanent contracts at the same pay and denied bonuses. Apparently, employees were not aware that by becoming mukirōdōkeiyaku they were waiving their right to a bonus under the government’s “equal pay for equal work” guideline. So workers lost money by moving from nonregular to permanent status, while in the official statistics it looks like an improvement. A survey in March this year by Aidem found that 85.7 percent of nonregular workers were either unaware of or didn’t fully understand this new rule, whereas one assumes that human resource managers knew exactly what they were doing. Firms are not keen to bear the costs of improving working conditions for nonregular employees, but there have been some signs of improvement. Age seems to be the key factor influencing the chances of mobility. Koji Takahashi, writing in the Japan Labor Review in 2015, found that about half of nonregular workers at age 20 made a transition into regular employment within five years, but this figure dropped to 40 percent at age 25 and 30 percent at age 30. This is more likely for men than women and for those with higher education. Previous government and academic assessments found significantly lower rates of mobility. Takahashi also finds that there is significant mobility the other way, from regular to nonregular employment, which he ascribes to pressures to work long hours and illegal employer abuses that cause workers to quit their regular jobs. In his survey sample, nearly half of nonregular workers age 35-44 had been regular employees in their 20s. He also argues that involuntary nonregular employment is most prevalent (43 percent among men) in this age cohort. According to a 2012 government report, 29.1 percent of men and 49.3 percent of women ended up in nonregular employment for their initial job, up sharply from 8 percent of men and 18.8 percent of women in 1992. This trend reinforces women’s marginalization, since they have a much lower chance of transitioning to regular employment. As of 2012, women accounted for 77 percent of all nonregular workers, earning about 50 to 60 percent of what male fulltime workers earn, lower than in Europe, where they earn from 70 to 80 percent of the wages of the average regular employee. In 2013, Keio University’s Yoshio Higuchi published a paper in The Japanese Economic Review that focused on the incidence of poverty and its relation to nonregular employment. He found that the poverty rate for households headed by a nonregular employee was 41 percent and most remain there. He attributes Japan’s low poverty exit rate compared to Europe and the U.S. to the difficulty of transitioning from nonregular to regular employment. To the extent that nonregular workers are trapped in low-paid dead-end jobs with limited job security and career prospects, Japan is at risk of establishing an underclass that undermines egalitarian values and norms. 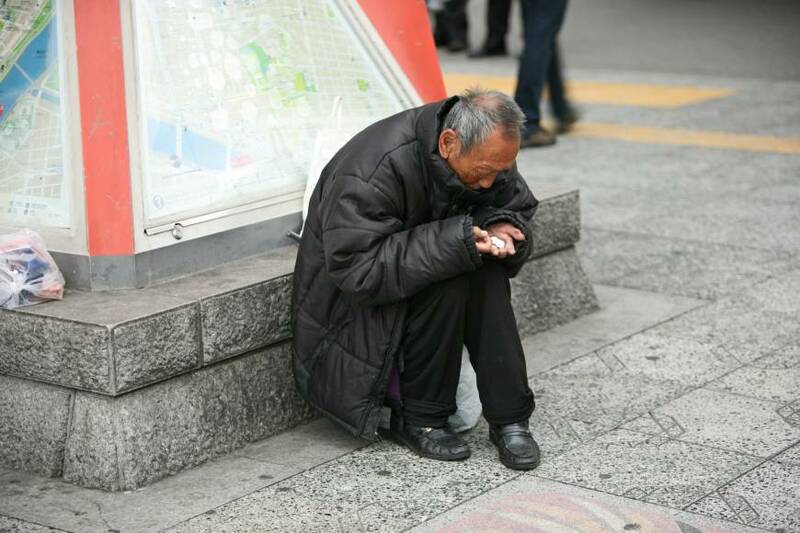 Japan’s relative poverty rate of 16.1 percent — defined as the share of the population living on less than half the national median income — is high, ranking an embarrassing seventh among the 35 OECD nations. Similarly, the Japanese government reported that the proportion of children living below the poverty line in 2015 was 13.9 percent, and a 2017 UNICEF report ranked Japan just 32nd among 41 developed countries in addressing income inequality involving families with children. 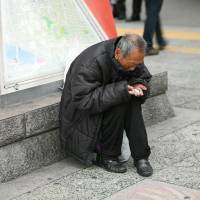 Isn’t it time to ask what Abenomics can do for less privileged Japanese?